The Bariatric Plus Transport Chair is equipped with large 8??? front wheels and 12??? rear wheels for a smooth, easy ride over any surface. With a total weight of less than 45 lbs. 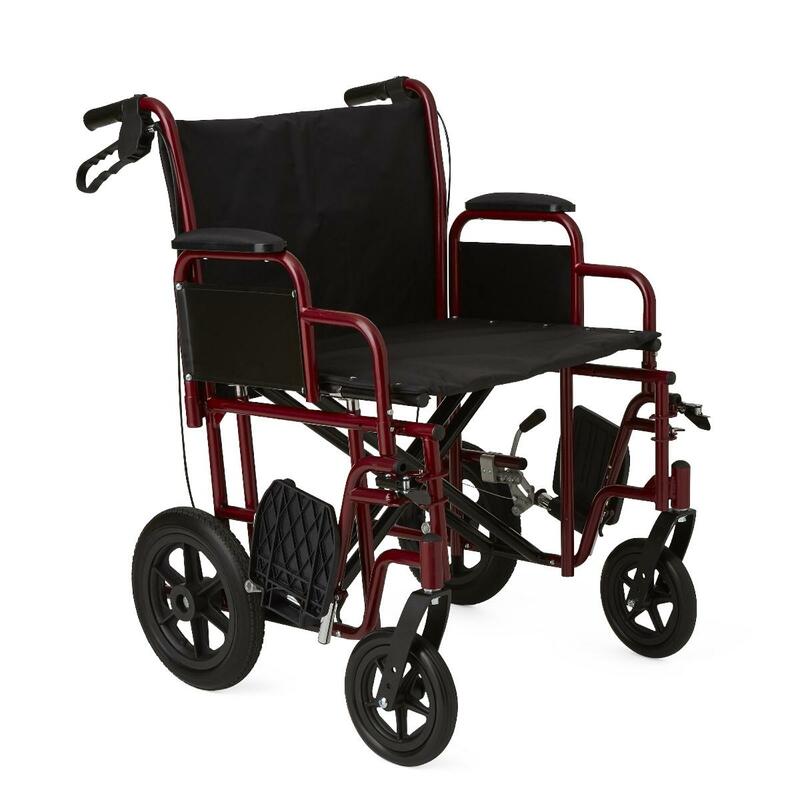 as well as removable arms, this transport chair is easy to transport and store. To transport, simply pop off or fold back the legrests and pull up the seat to fold.